Still not sure how to get involved with Earth Day, which happens this April 22? Join with the Earth Day Network (EDN) in doing something awesome. It’s inviting contributions to help reforest Puerto Rico after the devastation wrought by Hurricane Maria last year. 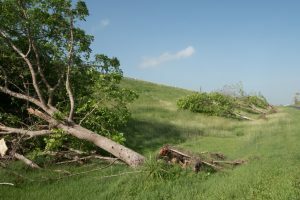 In addition to buildings, the vast majority of trees were flattened on the island as well. Replanting them is not for decorative purposes. Trees are a building block of virtually any healthy ecosystem. See “Top 22 Benefits of Trees” to see what I mean. Indeed, according to the Miami Herald, the entire damage estimate for PR from Maria is $90 billion. Given that the island’s entire GDP was last measured as $101 billion in 2016, the financial dimensions of the problem are stark. And the human dimensions of the problem – how do you recover from losing EVERYTHING? – are unimaginable. Planting trees is one part of the solution, and EDN makes it easy. Earth Day Network makes it easy! One dollar plants one tree through the Earth Day Network. And in case you’ve forgotten, EDN is on track to plant 7.8 billion trees worldwide by 2020 as part of their Canopy project. I have contributed already. In the interests of full disclosure, I receive no money from EDN for writing about this. Just happy to spread the word! 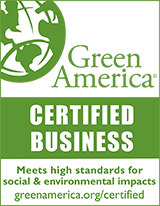 Need help spreading the word about your green efforts? Speaking of spreading the word, do you have a great green story to tell, but just haven’t had the time? Contact me at Alison@alueders.com to set up a free consult. No pressure – just talking. Earth Day is April 22. According to the Earth Day Network, the theme for this year is “Ending Plastic Pollution” – a more-than-worthy cause. Most plastic sticks around. According to National Geographic, of the 8.3 billion metric tons that have been produced since the 1960’s, only about 9% of that has been recycled. The rest is in landfills or the environment, breaking down – or not. The 6 most common sources of plastic pollution are listed here. Which one(s) could you avoid? China stopped accepting plastic from the U.S. and the E.U. as of January 2018. I don’t blame them, but this has caused a major headache for waste management folks here and around the world who are basically letting the plastic pile up at home at the moment. Kicked my Starbucks habit. Learning that their paper cups are lined with plastic that clogs recycling machinery, I decided to be part of the solution. I brew my own coffee at home now and use ceramic mugs. 4 billion one-use Starbucks cups are thrown away each year. Now it’s 4 billion minus 365. Skipped plastic straws. They are a bigger part of the problem than you might realize. According to the National Park Service, U.S. consumers use some 500 million straws every day. Most are tossed out and because they are so light-weight, they are more likely to blow around and end up in places like the ocean. Most plastic is still with us. 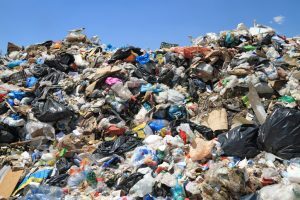 Another surprise to me: according to Columbia University’s Earth Institute, burning the plastic that sits in landfills today is not a bad option. I had assumed that burning anything would release greenhouse gases. If you’ve already wrestled your plastic challenges to the curb – congrats! The Earth Day Network has 6 other major campaigns that help the planet. (I’m supporting The Canopy Project which focuses on planting trees.) Which one will you choose?